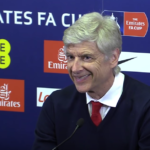 Sitting seventh in the Premier League and the subject of an international meme calling for his dismissal, Arsene Wenger hasn’t had much to celebrate this season. So when Arsenal beat fellow high-profile disappointments Man City in the FA Cup semifinals, Wenger couldn’t help but briefly celebrate like he just blew up the Death Star. In actuality, he just took a little more air out of the already deflated reputation of the once infallible Pep Guardiola, who, it should be noted, still occupies Wenger’s beloved fourth place in the Premier League while, again, Arsenal are in seventh. Kun Aguero opened the scoring for City in the second half, but Nacho Monreal equalized for Arsenal soon after. The two underwhelming sides then plodded into extra time, where Alexis Sanchez issued a “For the love of God, get me out of here!” plea in the form of a 101st-minute winner. 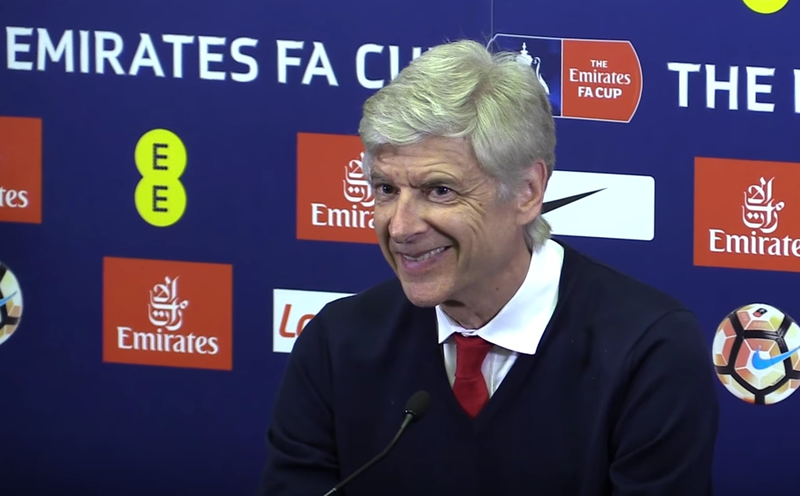 From Wenger’s reaction to the victory, you might think that Arsenal would be facing a non-league team for the third time in the last four rounds (this isn’t counting Man City, who only play like a non-league side occasionally) come the final, but they’ll actually face Chelsea. And Didier Drogba has already threatened to return to England so he can continue to terrorize them. But enough negativity. This was Arsene’s day. We should let him enjoy it. Because when your world is crumbling around you, it’s moments like this that prevent you from strangling Hector Bellerin for embarrassing everyone with his James Franco cosplay hairdo.